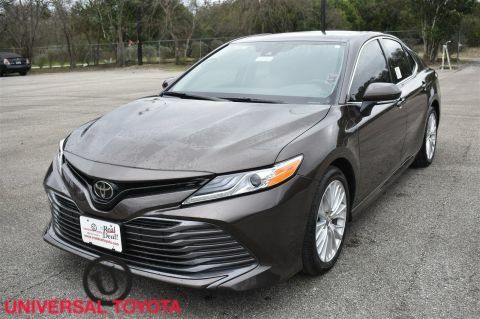 Window Grid Antenna, Wheels: 8.0J x 18 Chrome Machined-Finish Alloy, Variable Intermittent Wipers, Valet Function, Trunk Rear Cargo Access, Trip Computer, Transmission: 8-Speed Automatic, Transmission w/Driver Selectable Mode and Sequential Shift Control, Toyota Safety Sense P and Rear Cross-Traffic Alert (rcta), Tires: P235/45R18 AS. 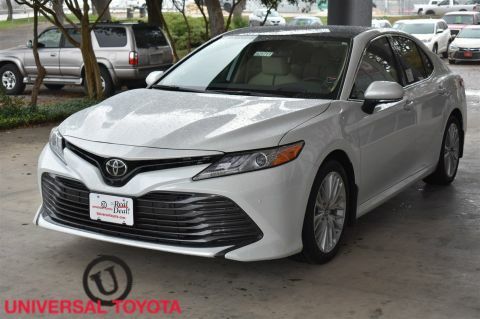 This Toyota Camry has a powerful Regular Unleaded I-4 2.5 L/152 engine powering this Automatic transmission. 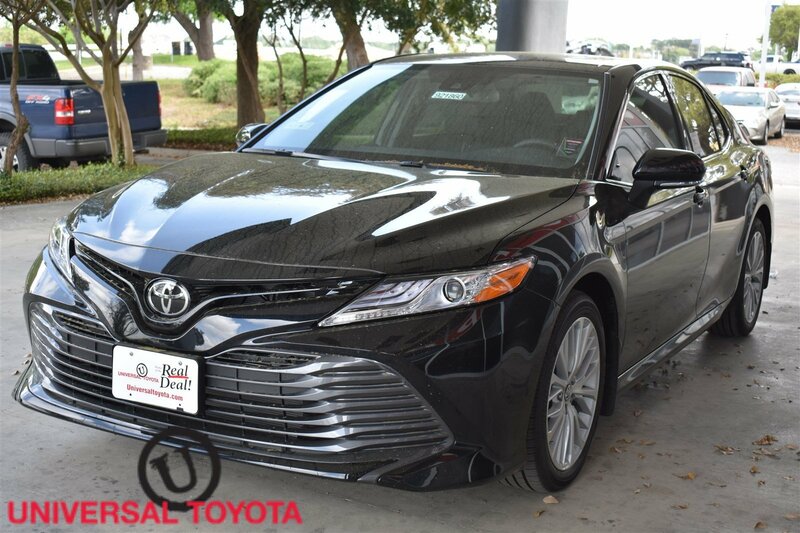 *These Packages Will Make Your Toyota Camry XLE The Envy of Your Friends *Tire Specific Low Tire Pressure Warning, Strut Front Suspension w/Coil Springs, Steel Spare Wheel, Single Stainless Steel Exhaust w/Chrome Tailpipe Finisher, Side Impact Beams, Seats w/Leatherette Back Material, Remote Releases -Inc: Mechanical Cargo Access and Mechanical Fuel, Remote Keyless Entry w/Integrated Key Transmitter, 2 Door Curb/Courtesy, Illuminated Entry, Illuminated Ignition Switch and Panic Button, Rear Cupholder, Rear Child Safety Locks, Radio: Entune 3.0 Audio Plus -inc: Connected Navigation and App Suite, Clari-Fi, 8 touch-screen, AM/FM CD player, MP3/WMA playback capability, 9 speakers in 9 locations, auxiliary audio jack, USB 2.0 port w/iPod connectivity and control, voice recognition, hands-free phone capability and music streaming via Bluetooth wireless technology, Qi-compatible wireless charger, Scout GPS Link App w/moving maps w/3-year complimentary trial, Siri Eyes Free, Google voice controls, HD Radio, Entune App Suite, SiriusXM satellite radio w/3-month complimentary SiriusXM All Access trial, Gracenote album cover art, Entune 3.0 Toyota Connected Services, Service Connect w/3-year complimentary trial, Remote Connect w/6-month complimentary trial, Wi-Fi Connect Powered by Verizon w/up to 2GB within 6-month complimentary trial, Apple CarPlay compatibility, Amazon Alexa compatibility (requires Toyota+Alexa in-car app), Safety Connect w/3-year trial and shark-fin antenna, Radio w/Seek-Scan, Clock, Speed Compensated Volume Control and Steering Wheel Controls, Quilted Perforated Leather Seat Trim, Proximity Key For Doors And Push Button Start, Power Rear Windows, Power Door Locks w/Autolock Feature, Power 1st Row Windows w/Front And Rear 1-Touch Up/Down, Perimeter Alarm, Passenger Seat, Outside Temp Gauge. 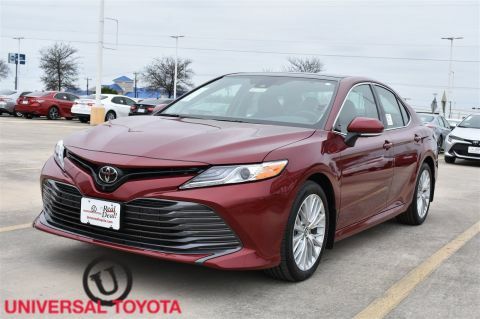 * Stop By Today *Test drive this must-see, must-drive, must-own beauty today at Red McCombs Universal Toyota, 12102 IH 35 North, San Antonio, TX 78233.